From CMS: You can now use the updated CMS MIPS Participation Lookup Tool to check on your 2018 eligibility for the Merit-based Incentive Payment System (MIPS). Just enter your National Provider Identifier, or NPI, to find out whether you need to participate during the 2018 performance year. Note: The 2018 Participation Lookup Tool Update for Alternative Payment Model (APM) participants will be updated at a later time. 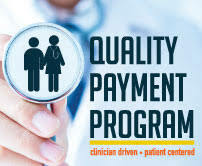 Find out whether you’re eligible for MIPS today. Prepare now to earn a positive payment adjustment in 2020 for your 2018 performance.